The cooler months of winter might seem like the perfect time to hibernate into the house, but it's actually a great time to consider ramping up your home for improvements. If you're thinking of selling come the spring, here's why winter is the perfect time to get started on home renovations. Many people are not interested in renovating their home during the winter months, so it can actually be an ideal time of year to make plans with a contractor to do some work. Since many renovations that occur on the outside of the home are likely to take place during spring or summer, it can be easier to schedule renovations for your home's interior when it's colder. Since contractors can have more free time in the winter months, it's a good time to contact them to discuss, decide and plan exactly what needs to be done in your home. With the workload of many contractors ramping up in the springtime, there's a good chance their meeting schedule may be congested and the planning and renovation implementation will take much longer. Check for deals! There are many sales on common home items from appliances to windows and cabinets. Since manufacturers will be trying to get excess stock off the floor, it can be a great time to purchase products for instant money savings. With the new stock filling the stores in spring, there will be a higher premium to pay for all of the newly marketed products. Spring is one of the most popular times of year to put a home on the market. With so many people considering a home purchase among their yearly plans, the milder season is an ideal time to get out and go house shopping. 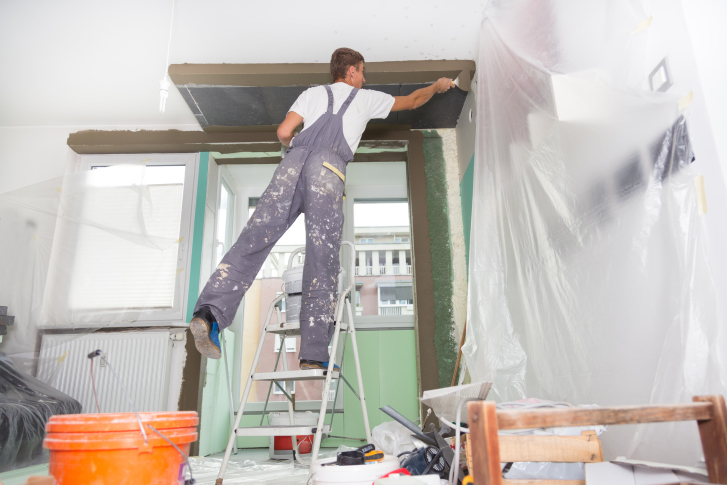 In order to have your home ready to show for the spring, you'll need to have the renovations complete so your house will be market ready when the potential buyers are out. If you're readying your house for the springtime real estate market, it's a good idea to get started on renovations now so you can save money on materials and schedule ample time with your contractor. If you happen to be considering your options for spring sale now would be a great time to have us come out and consult with you on the best and most efficient plans to renovate/update your property. Planning to renovate/update without the consultation of a trusted real estate professional can bring unknown consequences. An up front consultation with a trusted real estate professional can add thousands to the value of your property and in your pocket. Contact us today and we'll be glad to come out and discuss a successful marketing plan to get your property sold.